I grabbed a couple of quick shots last night, but alas only with my phone. 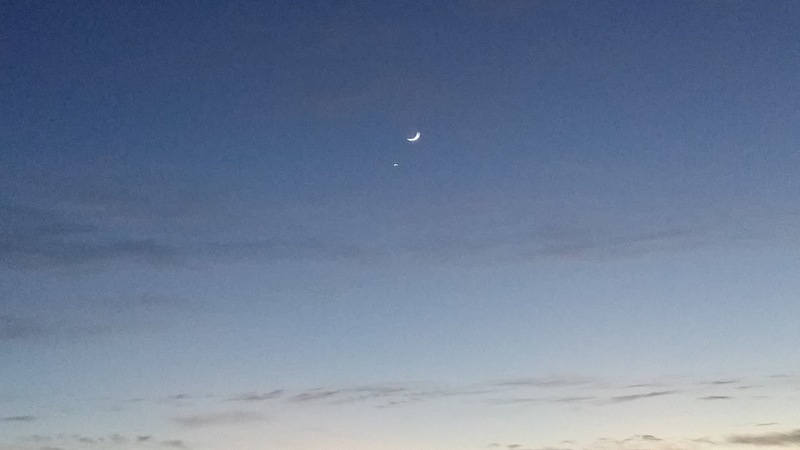 You can see the Moon and Venus, but not Mars. 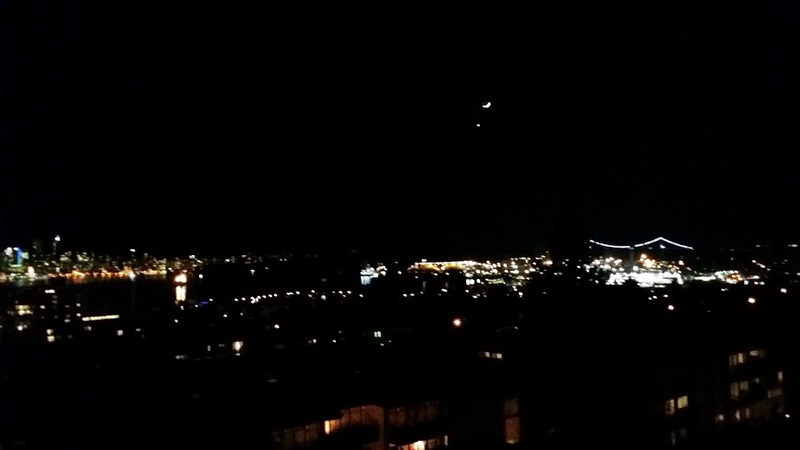 The one after nightfall includes Lions Gate Bridge, which I think looks nice.